With so many colors, heights, textures and forms from which to choose, selecting perennials for shady sites in a zone 5 garden can be a daunting task. Fortunately, several university extension services specify which perennials are best suited to specific cultural conditions, such as shade, soil type, moisture requirements and U.S. Department of Agriculture plant hardiness zone classification. Shade-tolerant perennials for zone 5 must tolerate average annual low temperatures to minus 20 degrees. These early-blooming perennials enliven shady sites in the spring garden. “Taylor’s 50 Best Perennials for Shade” recommends lenten rose (Helleborus orientalis) for full shade. These perennials bloom with white to pink flowers in early spring and grow from 12 to 18 inches tall. They thrive in moist, rich soil and are hardy in zones 4 to 9. 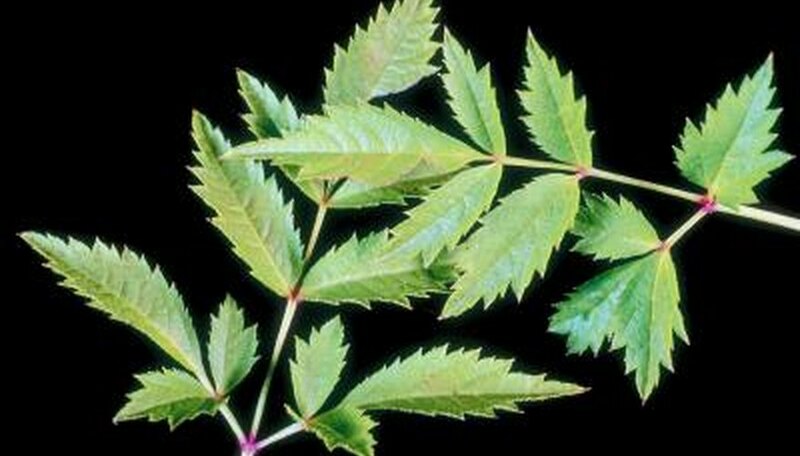 The University of Minnesota suggests the goat’s beard (Aruncus dioicus) for fully shaded sites. It grows from 4 to 5 feet tall and produces white clusters of blossoms in late spring. Hardy in zones 3 to 7, goat’s beard prefers moist, fertile soil. Early-summer bloomers start producing flowers in June. For long-lasting color, the Iowa State University Extension recommends astilbes (Astilbe x arendsii ). Hardy in zones 4 to 8, these versatile perennials produce white, pink and red blossoms from early through late summer. They thrive in partial shade and moist, rich soils. Astilbes grow from 2 to 4 feet tall. Peonies (Paeonia hybrids) start flowering in spring but continue through early summer. The University of Vermont Extension describes it as “one of the best perennials” and notes that peonies can live up to 20 years. Peonies grow to 3 feet tall and are hardy in zones 3 to 7. They produce white to red flowers and grow well in partially shaded sites with well-drained, acidic soils. For color that lasts through July and August, plant midsummer-blooming perennials. The University of Minnesota’s “best perennials for shade” list include ligularia (Ligularia stenocephala ), a 4- to 5-foot-tall perennial that produces spikes of yellow flowers. It prefers light or afternoon shade and moist, fertile soils. Ligularia is hardy in zones 5 to 7. Turtlehead (Chelone glabra) blooms in summer with clusters of white to pink flowers. This perennial grows from 1 to 3 feet tall and prefers partial shade and moist to wet soils. Turtlehead is hardy in zones 3 to 8. Keep a colorful garden into the fall with shade-tolerant, late-blooming plants. The University of Minnesota includes monkshood (Aconitum spp.) and Joe Pye weed (Eupatorium maculatum) on its list of the best perennials for shade. Monkshood is hardy in zones 3 to 7 and blooms through late summer with tall spikes of blue to purple flowers. It thrives in partial shade and well-drained soil and grows to 4 feet tall. Monkshood has toxic foliage and roots. Joe Pye weed grows from 10 to 15 feet tall and blooms with clusters of purple flowers from late summer to fall. This perennial grows well in partial shade and moist to wet, fertile soils. It's hardy in zones 3 to 9. University of Kentucky; Perennials for Shady Locations; Sharon S. Bale, et al.